Unlike other battery savers like JuiceDefender that require regular user manual actions, GreenPower is an easy battery saver that is fully automatic: Once configured, it runs and saves your battery by itself. It does so by smartly managing Wifi, Mobile data, Bluetooth and Screen Brightness: Turning them off when you don’t need them, but ensure minimum disturbance: Automatic turned ON when needed by you or by other apps (e.g retrieving mails). Easier, cleaner and faster than competitors like JuiceDefender , 2x battery saver and easy battery saver! 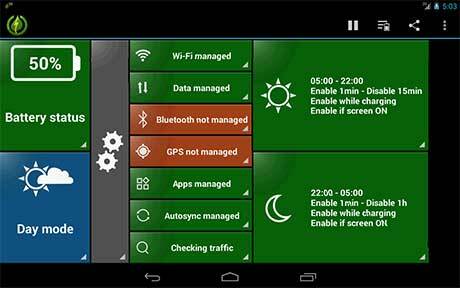 GreenPower battery saver: 1.5 million downloads & 2 years of experience in Android Battery Saving! 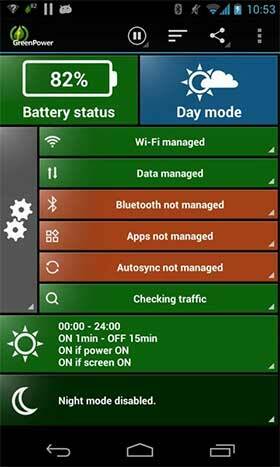 Or take time to configure the battery saving settings to get the most out of it and the best battery longevity! Try Premium version for 24H and get a refund if you didn’t like it by just sending us a mail. 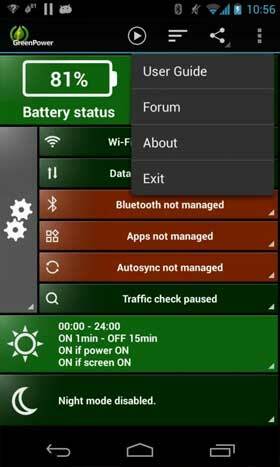 • Battery life indicator in notification area. • Support from the developer. I’m answering each issue.